The Final Pet Sematary Trailer Rises Up! New Pet Sematary Trailer Proves That Dead is Better! Pet Sematary Trailer Released by Paramount Pictures! 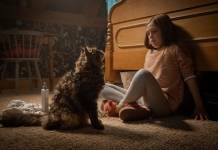 Pet Sematary Photos Released by Paramount Pictures!